Multitraccia S.C.. Three-year PhD scholarship. Design of advanced algorithms for powerline communications. Design, development, and implementation of web-based information management system remotely accessible. Communication technologies for heterogeneous wireless networks for IoT and M2M scenarios, applied to the creation of intelligent cities and innovative services for the citizens in urban environment (SMART CITY). 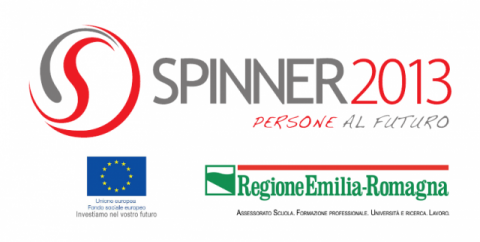 Spinner2013, Regione Emilia-Romagna (50%) and University of Parma (50%). Three-year PhD scholarship. Scientific advisor: Gianluigi Ferrari. (Another PhD scholarship was assigned to the University of Bologna and its scientific advisor was Prof. Roberto Verdone). Network of Excellence in Wireless COMmunications# (NEWCOM#). European Commission, Contract Number: CNECT-ICT 318306. The University of Parma (Scientific Responsible: Gianluigi Ferrari) was Type II Associate Partner. No direct funding. Mobile device perception Systems for SAfe Driving (MoSSAD). PI: Gianluigi Ferrari (Interdepartmental Research Center RFID&VIS Labs, University of Parma). Design and implementation of an IoT hub. Design of efficient watermarked broadcasting algorithms. PIs: Gianluigi Ferrari (CNIT research unit of Parma) and Andrea Abrardo (CNIT research unit of Siena).